As the battle for Kobani rages, up to 200,000 Syrian Kurds have fled into Turkey, where long-running animosities mean a suspicious reception at best. 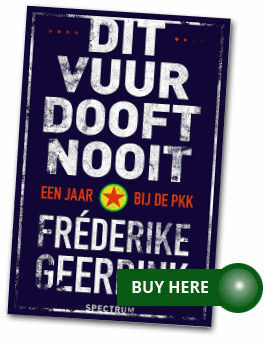 Frederike Geerdink reports from Suruc, close to the border. Fighting raged in Kobani, close to the Turkish border, today as Kurdish militia battled with Isis fighters who have laid siege to the Syrian town for a number of weeks. With the aid of air strikes from a US-led coalition, the Kurds have been looking to push Isis, which also calls itself Islamic State, out of the town. The group has reached the border region, having taken hold of large swathes of both Syria and Iraq in recent months and declaring its own “caliphate”. The air strikes have intensified in recent days as the coalition of nations looks, in President Barack Obama’s words, “to degrade and destroy” the militant group. US Central Command said that 13 strikes were conducted over Syria on Saturday and yesterday with the aid of fighter planes from Saudi Arabia and the United Arab Emirates. There were a further 10 strikes in Iraq, many of them in Anbar province, an area where Isis has made gains recently. Of the attacks in Syria, 11 of them were around Kobani. US Central Command said those strikes hit 20 Isis fighting positions, five of the group’s vehicles and two buildings used by militants. A British-based activist group, the Syrian Observatory for Human Rights, claimed that militants fired dozens of mortars at Kurdish parts of the town on Saturday, as well as a number on Sunday. Up to 200,000 Syrian Kurds have fled Kobani as Isis has advanced and crossed the border into Turkey. In a sports hall on the outskirts of Suruc, near the Syrian border, are dozens of Kurds, part of a group of about 250 that human rights group Amnesty International said crossed the border from Kobani earlier this month. They claim that they were detained while Turkish authorities took fingerprints, a common procedure for most refugees coming from Kobani, and were vetted for links to the Syrian Kurdish political group the PYD and its military wing, the YPG, which is fighting Isis in Kobani. Turkey views the PYD and the YPG as an extension of the PKK, which has waged a 30-year armed campaign for self-rule for Kurds in Turkey and is designated a terror group by the US and Nato. The PYD and the YPG are affiliated with the armed Kurdish group. Gulay Koca, a lawyer who works for the refugees, said they faced the threat of removal back to Syria. Mr Ali insisted they were not part of the militia. “We are all citizens. I myself worked as a journalist in Kobani. I am not a YPG member. None of us is. If we were YPG members, surely we would have stayed in Kobani to fight Isis,” he said. He said he had been told by Turkish officials that the group of refugees was being held in “administrative supervision”, with Mr Koca adding that they could face deportation. Amnesty International has called for their release. As the battle continued for Kobani, the Turkish President, Recep Tayyip Erdogan, was quoted yesterday as saying that Ankara would never arm the YPG through its political wing, the PYD. “There has been talk of arming the PYD to establish a front here against [Isis]. For us, the PYD is the same as the PKK – it’s a terrorist organisation,” the Turkish media reported the President as saying. This stance has sparked outrage among Turkey’s own Kurds, who make up about 20 per cent of the population. Riots in several cities earlier this month killed dozens. “It would be wrong for the US – with whom we are friends and allies in Nato – to talk openly and to expect us to say ‘Yes’ to support to a terrorist organisation,” Mr Erdogan said. His comments were reported by the state-run Anadolu agency. Turkey’s opposition to arms transfers to the Kurdish forces is hampering the US-led coalition’s efforts to fight the extremists and further complicating relations between Turkey and Washington. The countries are involved in negotiations about Ankara’s role within the coalition. In a call to Mr Erdogan on Saturday, Mr Obama expressed appreciation to Turkey for hosting more than one million refugees in the country. The pair also reportedly discussed the situation in Kobani. “The two leaders pledged to continue to work closely together to strengthen co-operation against [Isis],” the White House said.